Entries for the third event of the Cooper Dust Series: Free State are open. This event will take place at Waterford 4×4, near Groblershoop in the Northern Cape. 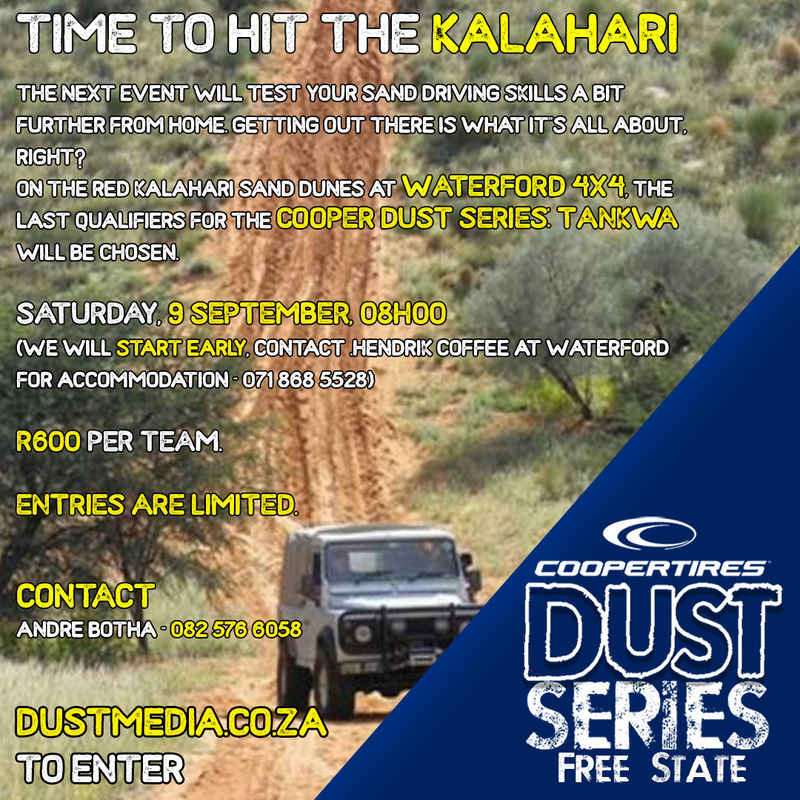 The Cooper Dust Series heads to the Kalahari for your last chance to qualify for the Cooper Dust Series: Tankwa grand final. Entries are R600 per team. For accommodation at Waterford, contact Hendrik Coffee at 071 868 5528. Previous Cooper Dust Series: Western Cape 3 – Entries open! Next Cooper Dust Series: Gauteng 3 – Entries open!